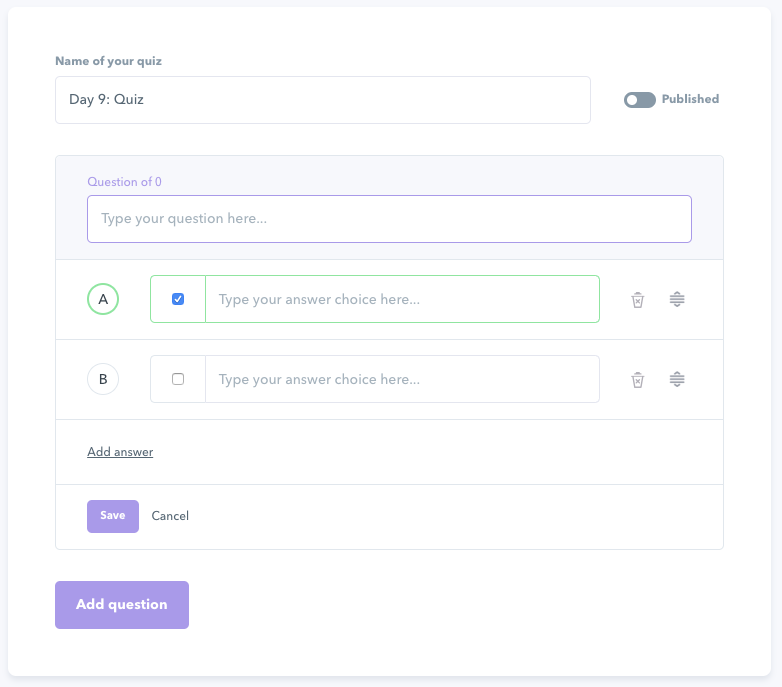 Quizzes can help to reinforce what your students learn in your course, and setting them up in Podia is easy. 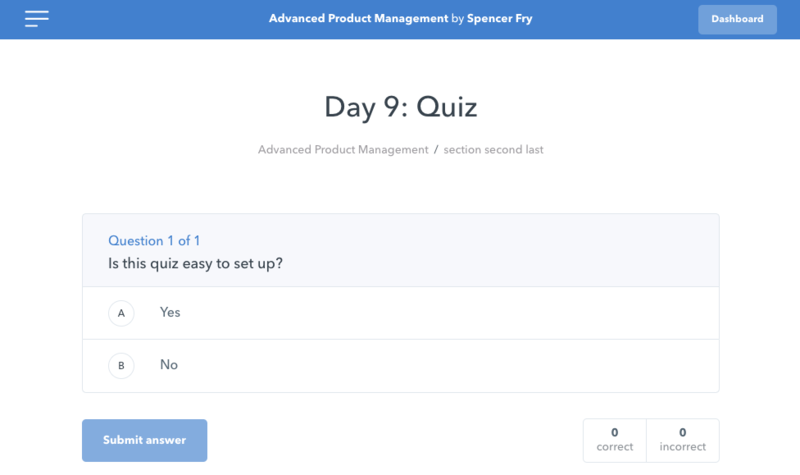 Click on it to begin editing your quiz. Here you'll be able to add your questions and answers by clicking "Add question". Add as many questions as you'd like. 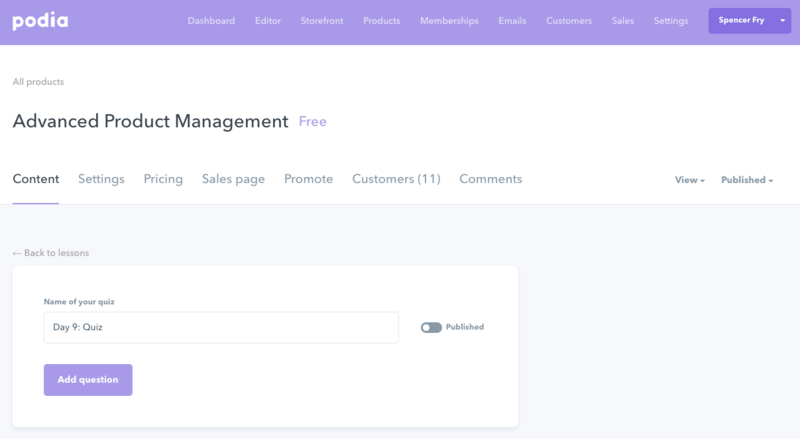 When you're ready, click "Published" to toggle it on. It's simple, clean and easy to use -- and it works on mobile. When they're done answering all of the questions, they'll see their final results before moving onto the next lesson.